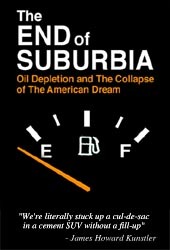 The Limerick Greens are showing the documentary End of Suburbia on Tuesday 10 May at 7.30pm, upstairs in the Locke Bar. Anyone interested in sustainable living and peak oil is warmly in invited to attend. We are planning to have a short discussion after the film and then adjourn to the bar for more informal chat.